Order Your $3 Radon Home Test Kit Today! Used for ordering and shipping confirmation only. Radon is a naturally occurring radioactive gas that results from the decay of Uranium which is found in certain types of soil and bedrock. You can’t see, smell or taste it and it can only be detected by testing. Radon is normally reduced to very low levels in outdoor air, but in certain circumstances it can reach much higher concentrations indoors. Radon is measured in picocuries per liter (pCi/L). Yes, it can be. Radon is considered second only to smoking as the leading cause of lung cancer.  Radon gas and its by-products are inhaled and may become trapped in your lungs. Studies have shown that prolonged exposure to radon and its by-products may cause lung cancer. The United States Environmental Protection Agency (USEPA) estimates that as many as 21,000 lung cancer deaths per year in the United States may be associated with exposure to radon. Approximately 600 of those deaths occur in Virginia (based on census statistics). Radon exposure is not known to cause any immediate physical symptoms or reactions. The higher the radon level and the longer a person is exposed to it, then the greater the health risk. Current and former smokers are much more vulnerable to radon exposure than people who have never smoked. How Does Radon Get Into Your House? Radon can seep into your home from exposed dirt such as a crawl space, plumbing cut-out or old cellar. It can also pass through openings in your foundation such as unsealed sumps, drains, joints, cracks and open top block walls. 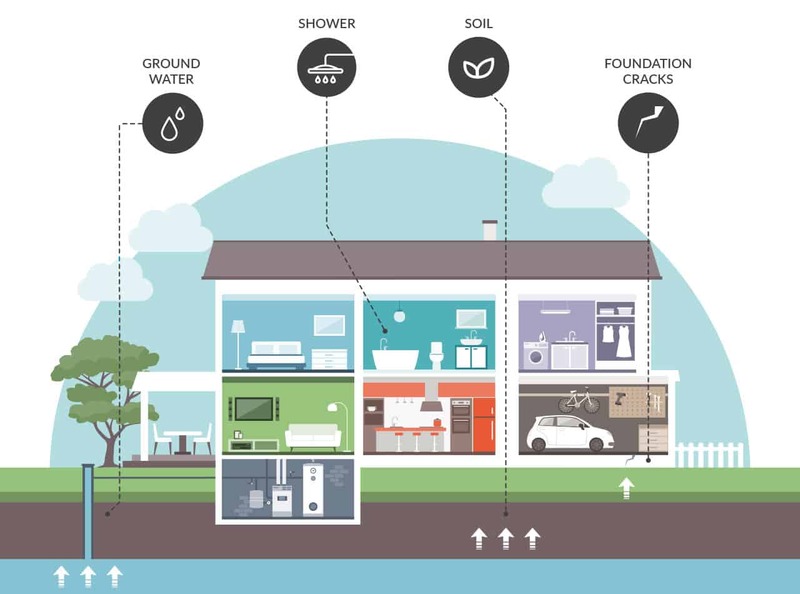 The highest levels of radon are typically found in the lowest livable areas of the home, such as basements or other rooms in direct contact with the ground. The health risk associated with drinking radon in well water is thought to be very low - but when the water is agitated it may contribute additional radon to your indoor air. The EPA has yet to finalize a national standard for radon in ground water. Testing and (if necessary) mitigating the indoor air is usually the most effective and affordable way to reduce radon health risks. Most homes will show their highest indoor radon levels during the coldest winter weather and their lowest levels during the hottest summer months. Radon testing during the summer should be avoided if possible. It is best to conduct a short-term (2-7 day) radon test during fair weather. Testing during periods of heavy precipitation and/or high sustained winds may cause temporary but significant increases in indoor radon levels. For short term testing as part of a real estate sale, it is best to hire an NRSB or NRPP certified radon measurement professional. See the links below to find certified radon testers in your area. © 2019 Virginia Department of Health. All rights reserved.